I have been anointed with oil. my ears hear evildoers when they attack me. I am one of the most inconsistent people you will ever meet. I will bowl great for three frames, and then I will reside in the gutter the rest of the game. That’s not entirely true. I will reside in the gutter of the lane next to me for the rest of the game. At New Years, I will begin a steady diet and exercise routine that lasts until someone brings out the meatballs. I will start a span of regularly responding to emails, and then I will have a setback and not reply to anyone for six weeks. I crave consistency. In my spiritual life, I am even worse. On a mission trip, I will turn into super-evangelistic boy on the field only to revert to an unashamed coward when I return home. My devotional life will get intense after a convicting sermon only to last until the guilt finally wears off. An answered prayer turns me into an intercessory advocate until I stop seeing immediate results to my prayers. I want to do better. I honestly do crave consistency. Righteous regular worshipers develop consistency. The psalmist shares that the righteous will thrive and grow like a healthy tree. Being “planted in the house of the Lord, they thrive in the courts of our God” (v. 13). When people are not only active in worship, but their lives back up their worship declarations, they live a consistent life. 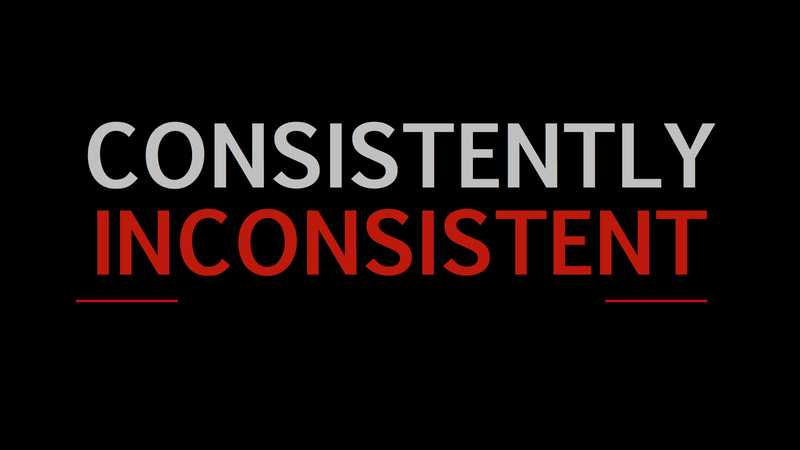 We all want to be consistent. We desire to be steady. We want to know when times get tough, we are like a rock. That is why it is so interesting that in this passage about consistency, the psalmist praises God for being his rock. You want to learn consistency? Look no further than our God. He is the same yesterday, today, and forever (Heb. 13:8). He is unchanging (Isa. 40:28). He is our rock in whom we can take refuge (Ps. 18:2). In an inconsistent world, we can trust in a consistent God, and we pray that he makes us consistent as well.